Hand-crafting the finest quality industrial indoor-outdoor digital timers, counters, clocks and number displays since 1996. 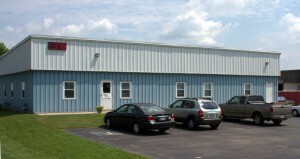 In 2001, DC-Digital relocated the sales and manufacturing facility to 325 Industry Drive Carlisle, Ohio. DC-Digital specializes in manufacturing custom and standard industrial high quality digital timers, counters, clocks and number displays for manufacturing facilities, government facilities, schools, hospitals and private organizations.